NEW YORK -- Target is responding to the recent creepy clown sightings across the country with a big change ahead of Halloween. 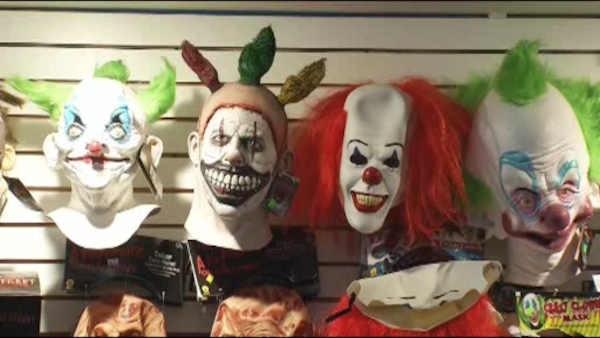 The company is pulling all clown masks off its shelves. Target said it wants to be sensitive of the creepy incidents that have led to violence and arrests in several states. The company's spokesman says there were a few clown options in stores that will no longer be available for purchase. Masks will also be pulled from Target's web site. All the clown sightings seem to be helping scary clown masks fly off the shelves in other stores. National costume retailer Halloween Express says its clown costume sales are up 239 percent this year.